I’m on vacation after a busy, busy March so let’s keep this short. This week: An extended Dishonored 2 demo, a Mass Effect patch, Batman’s VR adventures making their way to the PC, a look at Absolver’s meaty hand-to-hand fights, Twitch’s entry into video game retailing, “Steam Explorers,” and a jaw-dropping Tron ride built within Planet Coaster. This is gaming news for April 3 through 7. The Dishonored 2 PC launch last fall was an unmitigated technical disaster, and I’d bet a fair few people skipped it for that reason. It seems like a smart move then for Arkane and Bethesda to release an honest-to-goodness demo, allowing you to take on the first three missions of the game (probably about two hours if you take your time), with progress carrying over if you decide to purchase the game afterward. It doesn’t excuse the sorry state of the game at launch, but things are much improved now. And hey, you don’t have to take my (or Arkane’s) word for it—just load up the demo for yourself. You’ll find it in the sidebar on Steam. 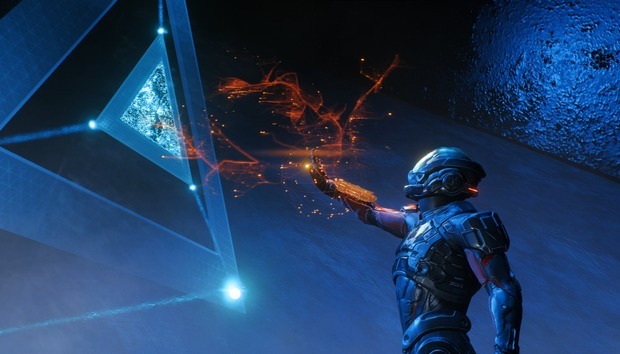 And speaking of fixed games: The first of many Mass Effect: Andromeda fixes went live this week. Apparently lip syncing and eye reflections are improved, and they added in the should’ve-been-there-from-the-start “Skip” button to those interminable galaxy travel animations. Patch notes here. Paradox released a bevy of games this week—meaty expansions for both Europa Universalis IV and Stellaris—but I’ve got my eye on next month already, when it’ll release World War II strategy game Steel Division: Normandy 44. Speaking of strategy games and betas: Dawn of War 3 releases April 27, but you’ll have the chance to get your hands on a “beta”/marketing demo from April 21 to April 24 if you so choose. According to Relic the beta “will include a range of different maps, modes, and other game content to try,” and you can sign up here. I’m still feeling pretty tepid about Volition’s Saints Row spin-off Agents of Mayhem. It doesn’t look bad per se, it’s just...so Saints Row-y, without the Saints Row stuff I actually want. But here’s hoping it wins me over this summer—the game nabbed an August 15 release date this week, along with a new over-the-top trailer. The polar opposite of Agents of Mayhem? This slow-paced Absolver trailer/dev diary showing off the game’s methodical hand-to-hand combat. Having played a bit of this at E3 last year, I can say: It’s complicated as hell. Like, probably the most overwhelming fighting game I’ve ever played, and I love it all the more for that. Many have taken on Steam. Few have attained any measure of success. Twitch is the latest though, and it’s just crazy enough to work. As of this week you can officially purchase games through Twitch while you watch someone stream. The future’s crazy, eh? Part of the money goes to the streamer, and you’ll also score some Twitch emotes, badges, and other digital doodads. At launch the games include Ghost Recon, The Walking Dead, Firewatch, Warframe, Drawful 2, For Honor, and more. It’s worth noting these aren’t Steam keys though. While the purchases go through Amazon (which often sells Steam keys), for the most part games will require installing yet another launcher—this time, the Twitch Desktop App. Good luck with that. Good time to talk about Steam too, I guess. We’re not going to delve too deep into this week’s news (you can check out this Jim Sterling video for more info), nor its ramifications—better to do that once the system’s actually gone live and we can get a better view of it. The basics, though: Valve’s quest to make Steam usable continues. Steam Greenlight’s death is just the first part of a larger overhaul, one which will now include “Steam Explorers,” users that dig through the lesser-known games on the marketplace and try to ensure the good games don’t get lost in the noise. Personally I’d settle for Steam taking the “All New Releases” page and making it accessible from the homepage again (I can find my own damn games, thanks) instead of making me click six links deep. But hey, we all have priorities I guess. The Quake Champions marketing machine keeps on rolling, but at least this week we get real game footage instead of just another highlight reel trailer. Not much footage, mind—just two minutes. But hey, better than nothing. People complain quite a bit about Oculus’s Rift exclusives, but I’d argue the situation with PlayStation VR is just as bad—a whole rash of games released in October, some of which never made it over to the PC with its higher-power systems. It’s looking like at least a few are timed exclusives though, with Rocksteady’s Batman: Arkham VR apparently due to hit the Vive and Rift on April 25. Here’s hoping it’s the first of many. We’ve now reached the point in Planet Coaster’s life cycle where people regularly turn out creations I can’t even imagine making. This week PC Gamer highlighted a coaster by TommyT067 that takes you on a ride through Tron, from Flynn’s arcade to the Master Control Program. Phenomenal piece of work, and I can’t fathom how many hours of work it took.